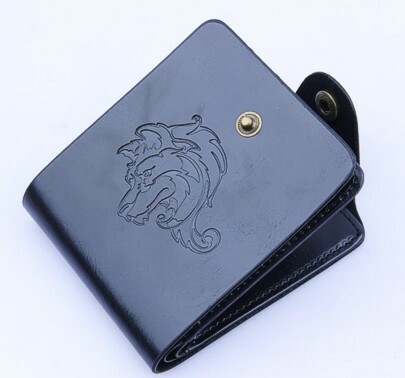 The Wolf Black Bifold Wallet features the very handsome profile of a Wolf. It is nicely constructed out of bycast leather that gives it a nice shine. The inside is lined with polyester. It has inside zipper compartment. 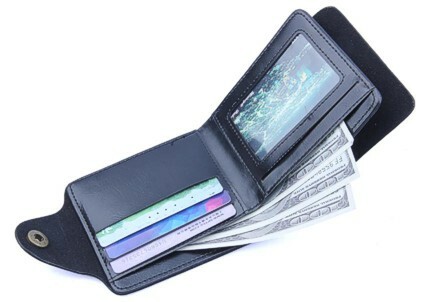 There are 6 credit card slots, a place for a drivers license or photo id and a slot for paper bills. 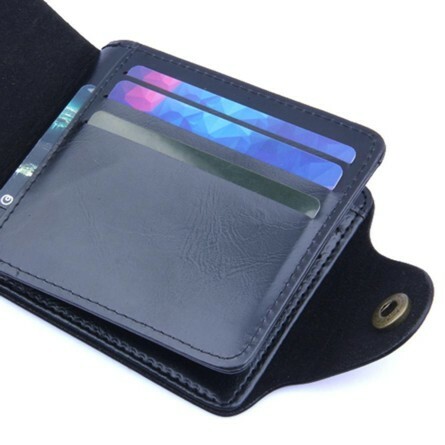 The wallet also has a snap closure.